The Old Dutch Fort in Galle, Sri Lanka, is chockablock with burger joints and spaghetti Bolognese restaurants catering to bland Western palates. Lucky Fort ain’t about that. 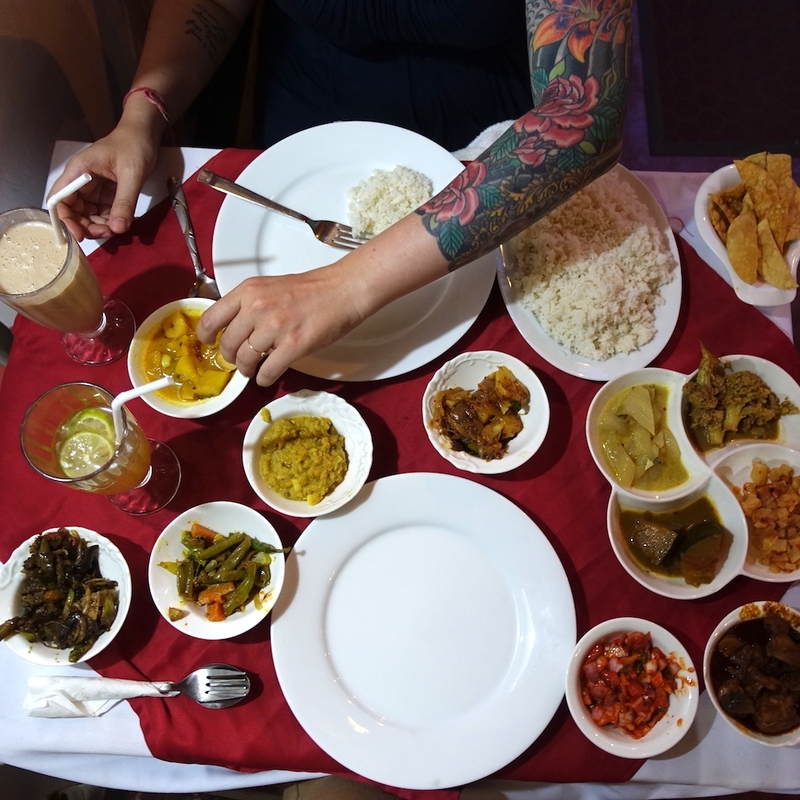 For 950 rupees ($6.22 USD), a table of two can dig into ten spiced-to-order Sri Lankan curries and a heaping pile of rice. Most were vegetarian the night we stopped by—eggplant, dahl, pumpkin, cauliflower, and radish among them—but the real MVP was the juicy, tender chicken. Even if you don’t do poultry, its nuclear Adobe-like sauce is worth dipping a papadum in. No. 7 Prarawa St., Galle, Sri Lanka; +94-912-242-922.